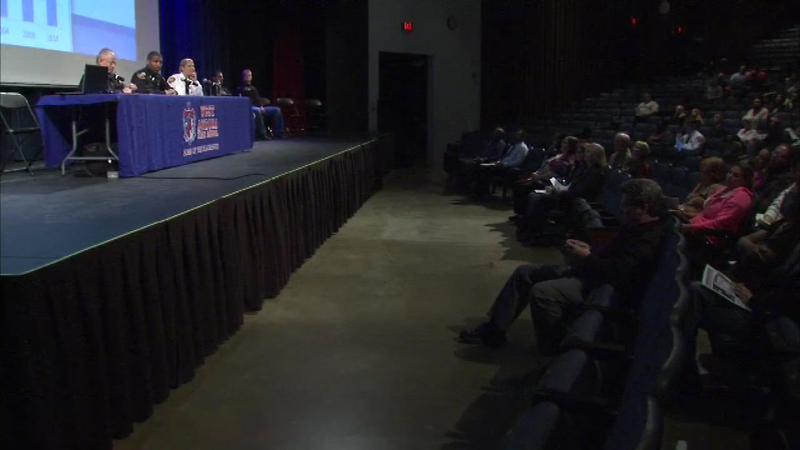 AURORA, Ill. (WLS) -- Hundreds of people turned out for Monday night's community forum with Aurora police, as the city works to fight an increase in crime. The forum was moved to a bigger venue after last week's large turnout. Aurora has seen about four times as many shootings so far this year compared to the same time in 2014. This is the last of three scheduled community forums in different parts of the city.